Perform a dance that we choreograph at our Exhibition Gala Ball! At Alegria Dance Centre, we host two spectacular Exhibition Gala Balls per year, one in April and one in October. Students perform for their friends and family at these events doing the specific dance performances they’ve been working so hard on in preparation for these events. Think of it like a live version of Dancing With The Stars. Up to 50 individual Dance Showcase Performances, canapés, drinks, main meal and dessert all included in the ticket price, and plenty of social dancing make this a night not to be missed! The best way to improve a specific dance style! Chose a song, or a theme for a Dance Showcase Performance that you’ve always dreamed of performing, then get one of Alegria Dance Centre’s expert dance choreographers to create it for you. 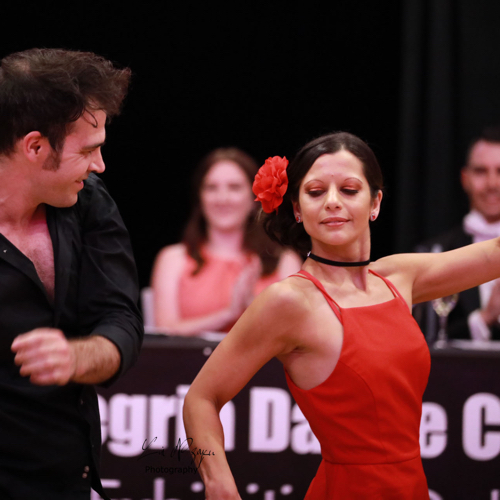 Coordinate your costuming and props necessary with your instructor and work within your Private Dance Lessons towards that specific goal of performing at our next Exhibition Gala Ball. It’s like having an injection boost of knowledge in that specific dance style or styles. Alegria Dance Centre is one of the only dance studios in Melbourne that has a night designed specifically around showcasing our amazing students and their talents. We’re an exclusive dance space for adults, so our events are even more unique. At our Exhibition Gala Ball, our students dance anything with their teachers or partners from a beautiful single dance performance, or even a cocktail of dances with a movie theme. We host a rehearsal night at the venue 2 days before the event for our students and we also host a Post Gala Day Celebration at the studio for all performers and students to celebrate the night that was, and to book in for the next Exhibition Gala Ball.